Sir Martin Sorrell believes the boundaries between what PR and ad agencies do in digital media is increasingly blurred, and that S4 Capital would consider acquiring a "small to medium-sized" PR agency if it has the right social content capabilities. Although there are no PR targets on Sorrell’s radar, he cited WPP’s Group SJR as the sort of company that had the right capabilities to fit his investment vehicle S4 Capital’s plan. Sorrell spoke to PRWeek a day after he and MediaMonks' main monk Victor Knaap laid out their future vision at a Campaign breakfast briefing in London. At the briefing, Sorrell said S4 Capital was focused on three areas that he believes will drive future growth in marcoms – content, first-party data and digital media buying and planning. Although this covers paid and owned media specifically, there was no mention of whether S4 Capital would be interested in building its earned and shared media capability. "If you look at things we’re interested in at S4 Capital, like content, first-party data and digital media planning and buying, I think the nature of public relations is changing and in a sense becoming much more targeted and much more measurable," Sorrell said. "There is nothing on the agenda at the moment. But there are maybe companies that have developed social content programmes that would be of interest to us. This would tend to be on the small to medium-size level and SJR at WPP – going back to my previous experience – is the sort of company that I think of (as an example)." Group SJR specialises in content and recently divested from Hill+Knowlton Strategies to run as an independent agency within WPP. It has grown fourfold since it was bought by WPP five years ago and, as an independent entity, is poised to play a more important role across the WPP group, rather than within the operational confines of H+K. Sorrell told PRWeek the nature of what PR and communications agencies offer has changed dramatically in recent years with the rise of the "fearsome five" global digital media platforms and first-party data. "People who run public relations agencies have sought to broaden their base, and the boundaries between advertising and public relations agencies have become increasingly blurred," he explained. "There are some companies that say they are public relations agencies but are mushrooming into other areas. I think public relations isn’t necessarily the best descriptor of what public relations agencies do. They are increasingly trying to do what advertising agencies are trying to do in the digital area." 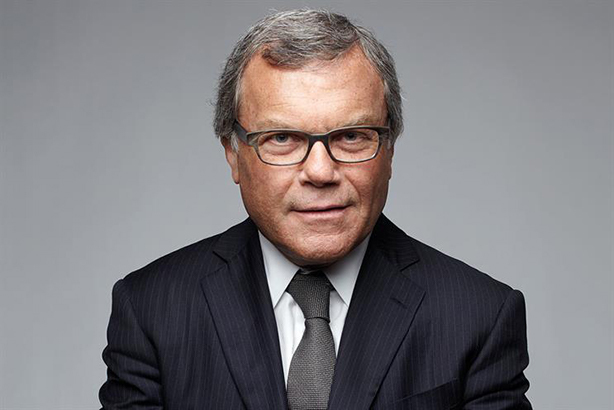 For now, Sorrell’s focus is on building digital media buying and data capabilities. He stressed that S4 Capital will only run "totally transparent" digital media buying models. "We are focused on where we think the growth is," he reiterated. "The three growth areas I’ve identified so far – and I may have missed some – are content, first-party data and digital media planning and buying. We’re focused on digital and we will see how that develops over time. We are starting on a small base and will see where we go from here." This will involve working closely with the large tech platforms, which is something WPP embraced in its deep relationship with Google.